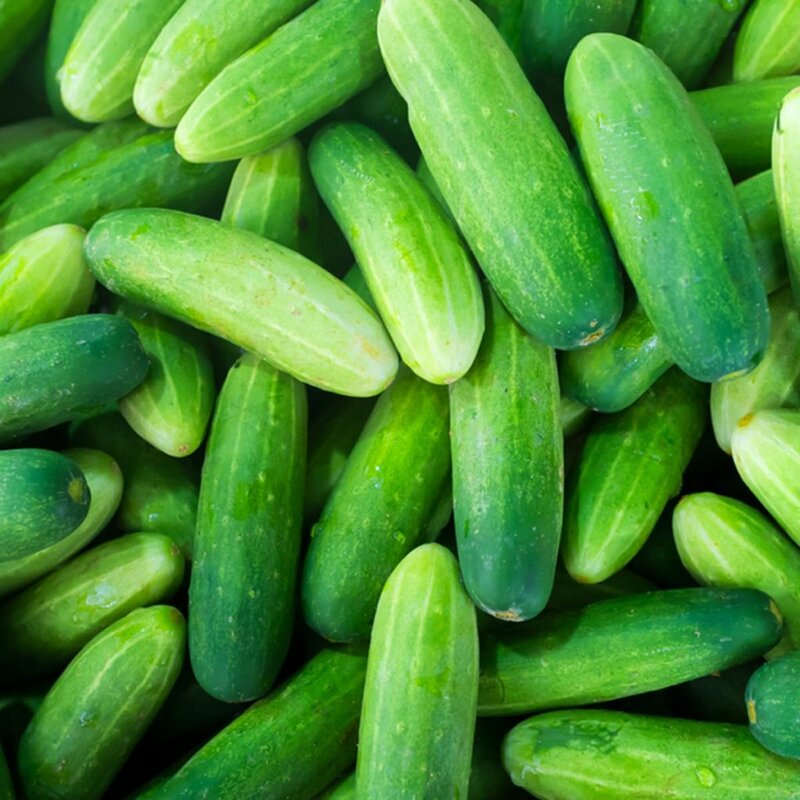 Perfect for slicing or pickling, cucumbers are known for their ease of growth and high yield. Cucumbers are a popular favorite for home gardeners because of the large variety available, ease of growth, and high yield. They may be pickled or eaten fresh and are a great addition to salads. Additionally, other than watering and minimal pest control, cucumbers require little care. Cucumbers are usually planted from seed directly in the garden or grown indoors in peat pots for earlier production. Most cucumbers require a fair amount of space, since they grow as a vine that spreads over an extensive area. 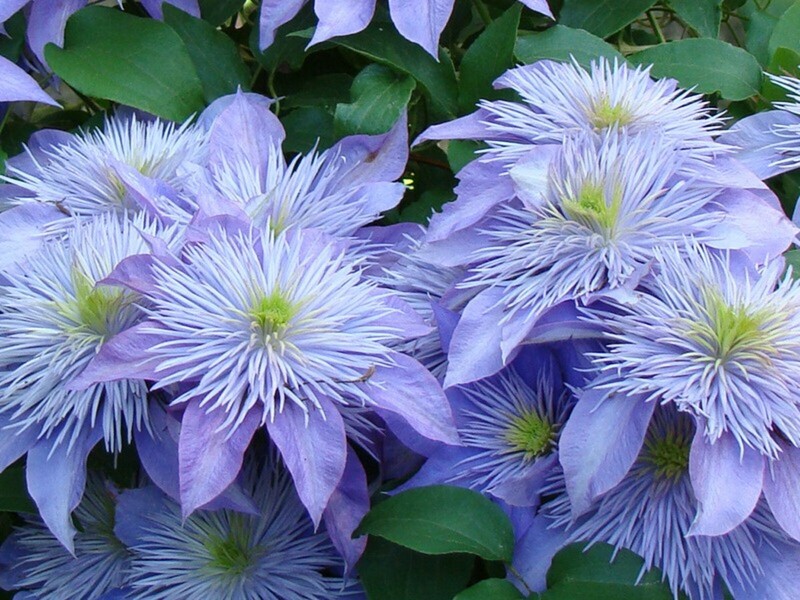 However, there are bush varieties that take less space. The space problem may also be solved by planting with a trellis for the cucumbers to grow vertically. Cucumbers must be pollinated to produce, and that is accomplished almost entirely by bees. So be careful about using insecticides in your garden that will deter or kill bees. Bees are your best friends in the garden. Before planting cucumbers you need to decide what variety to plant. And this depends on what you want to do with the cucumbers: pickling or slicing (for the table). Also, how much room do you have in your garden? Can you build (or purchase) a trellis if space is limited? Cucumbers are classified as pickling or slicing. The pickling varieties generally grow to 5" or less. The slicing cucumbers may grow to 13" or more, according to type. Some slicing varieties have eatable skins and are known as "burpless." Many of the slicing varieties may be pickled also with good success. Cucumbers are usually started by planting seeds directly in the garden. Cucumbers love hot weather and warm soil. So do not plant until after the danger of frost has passed and the soil has warmed in the spring. Plant seeds in direct sun 1/2 to 1 inch deep and thin the seedlings to one plant every 12 inches when they are 2 inches tall. If you use transplants, plant them in warm soil 12 inches apart in the row. You can warm the soil earlier by covering with black plastic a week before planting. Planting in hills also provides warmer soil. 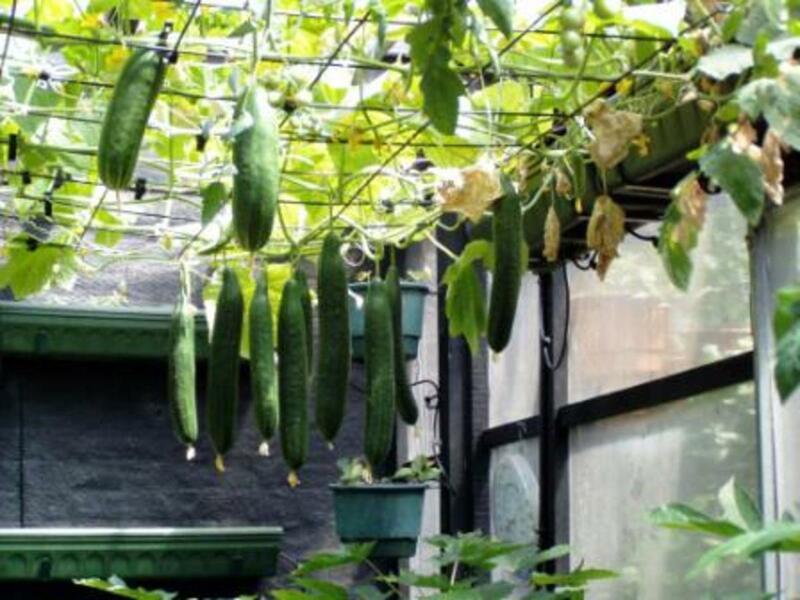 If you have limited space, provide a trellis for the cucumbers to climb. For an earlier crop, plant indoor in peat pots four weeks before the frost-free date. Sow two or three seeds in each pot. 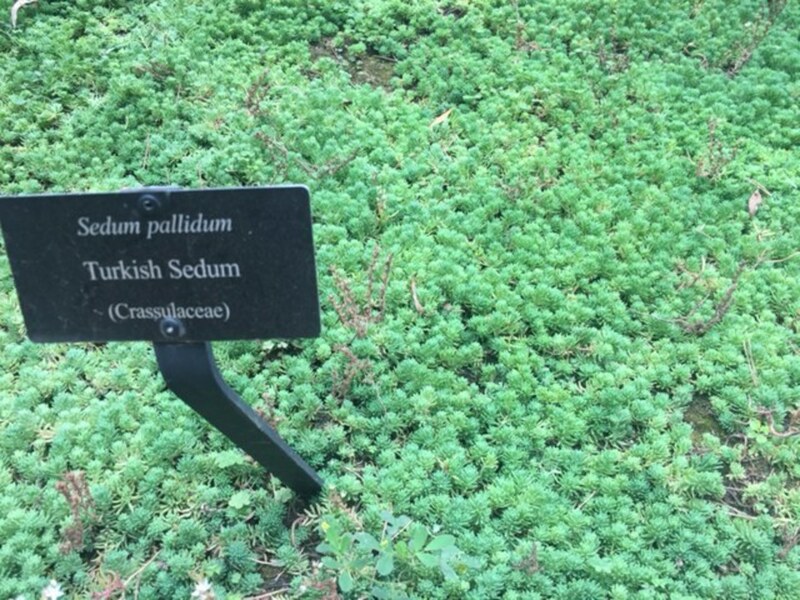 Thin to one plant per container. Transplant to garden when they have two to four true leaves. Plant the entire peat pot, do not remove the seedling from the pot. Cucumbers require plenty of moisture, especially when blossoms set. They have shallow roots, so deep watering is not necessary. Just make sure the top 3–4 inches of soil is moist. Side-dress with nitrogen fertilizer when the plants begin to vine. Do not worry if all the first blossoms fall off. These are male blossoms that will not produce any cucumbers. The later blossoms consist of male and female blossoms. The female blossoms will produce. Cucumbers should be picked when still immature, before the seeds become large and tough. For pickles, pick when 2–6 inches long. For slicing, pick when 6–8 inches. The Armenian and English burpless varieties may be picked when 8–12 inches or longer. 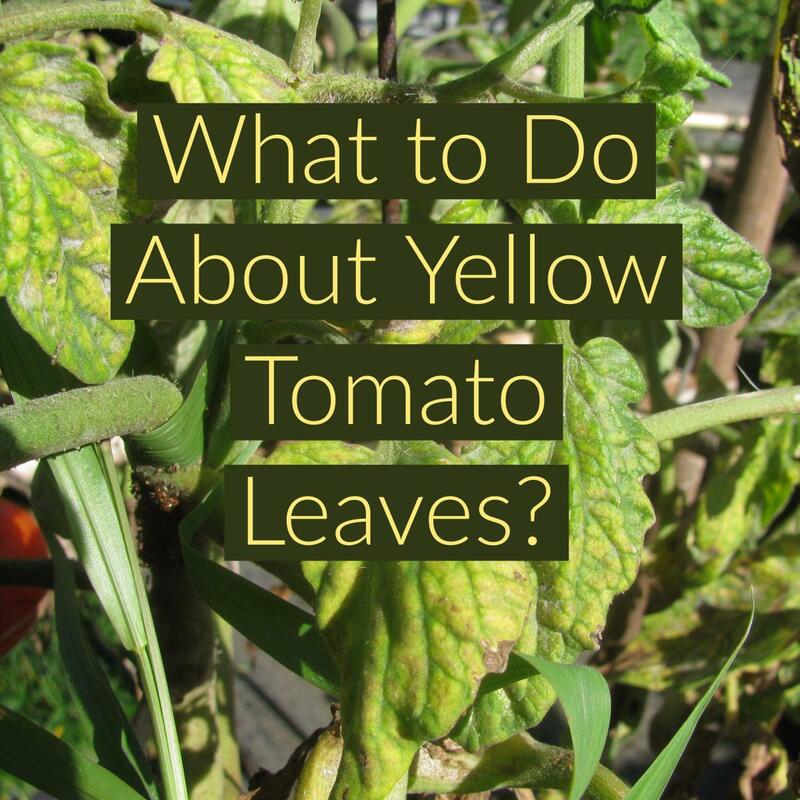 Any soft cucumbers, or those showing any yellow coloring, should be picked and discarded—they are not edible. 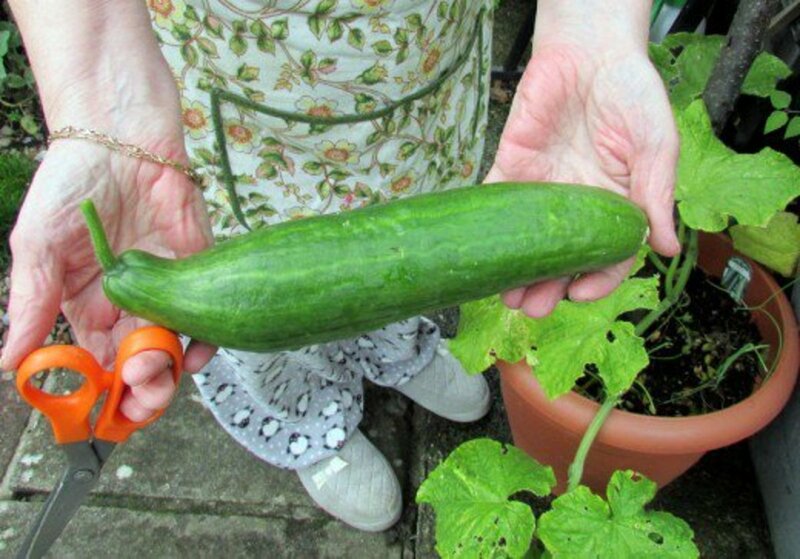 Be sure to keep the cucumbers picked regularly (every two days) to keep them producing. Ready-to-eat cucumbers should be completely green and firm. The major pest for cucumbers is the cucumber beetle, a black and yellow spotted or striped beetle about 1/4 inch long. 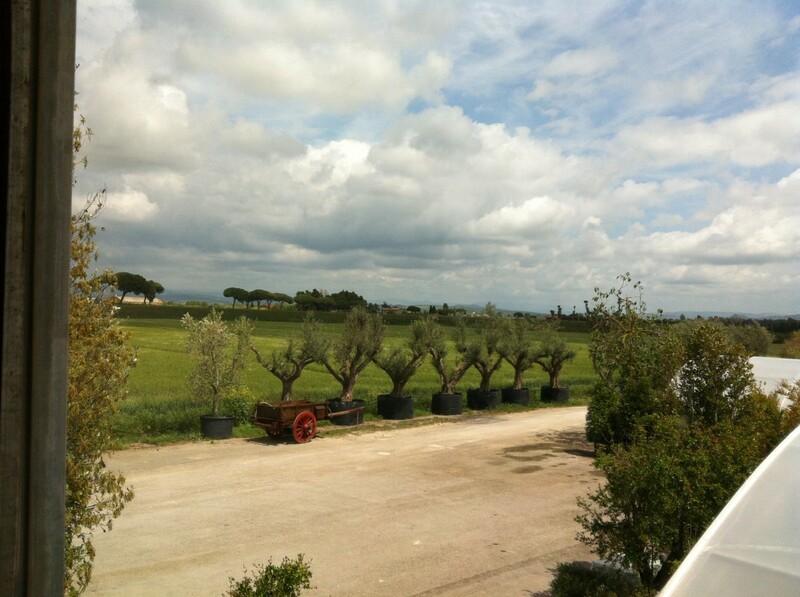 They may completely destroy immature plants or damage the foliage, fruit, and vines of mature plants. To control, use an organic pesticide designed for this purpose from your local garden shop. Thank you for the informative article. I tried growing cucumbers last year and failed. MY mother has had great success however, she plants them around a bush and the plants use the bush as a trellis!